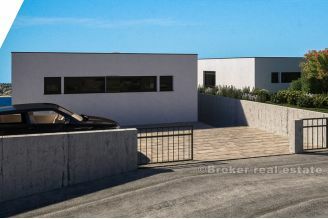 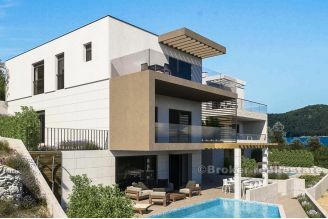 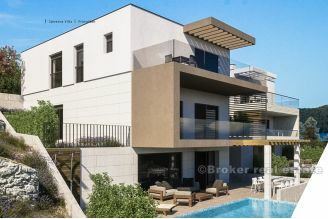 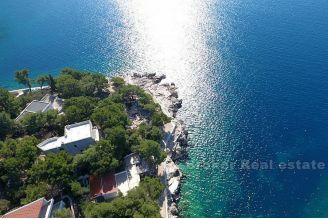 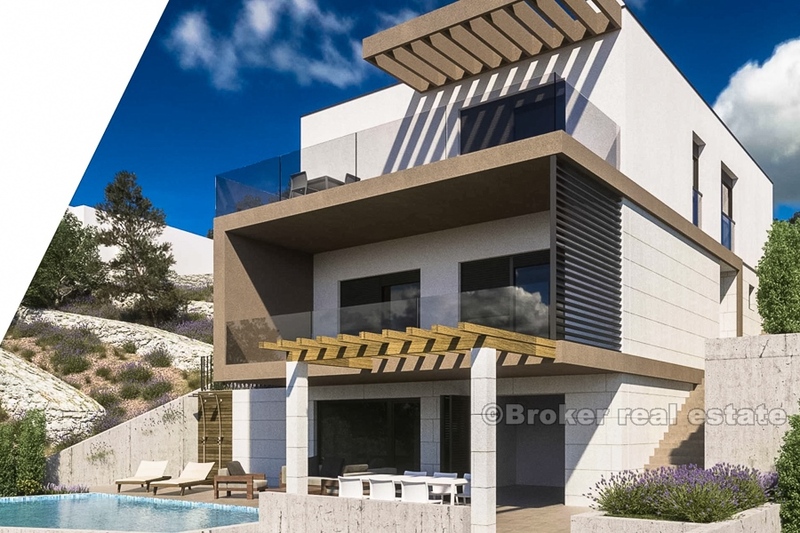 For sale is a modern and luxurious villa with a beautiful and unobstructed view of the sea. Only the finest materials are used in the construction of this villa, and the planned completion of the works by the end of 2018. 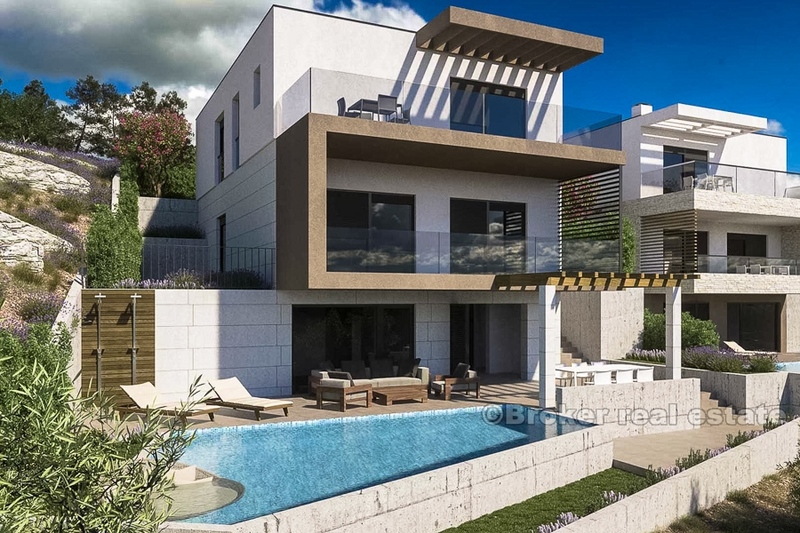 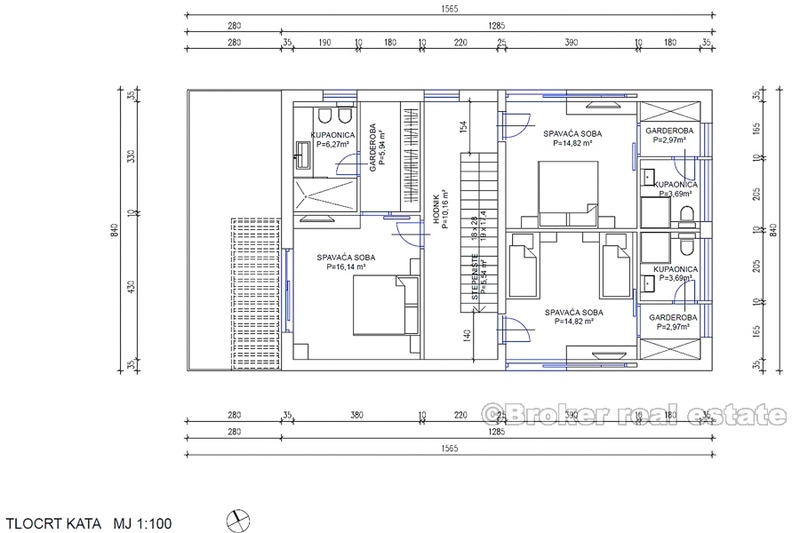 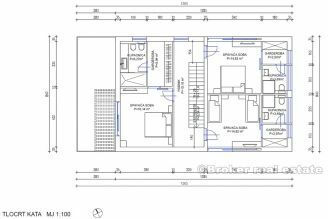 The total residential area is 250 m2, on a building plot of 1300 m2. The villa consists of 3 floors, ground floor, first and second floor. On the ground floor there is kitchen, gym, bathroom and large and spacious terrace with swimming pool. 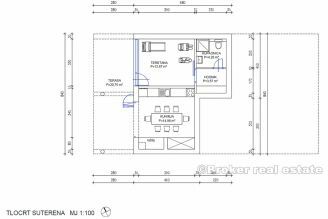 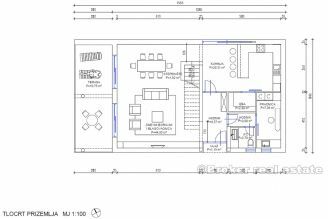 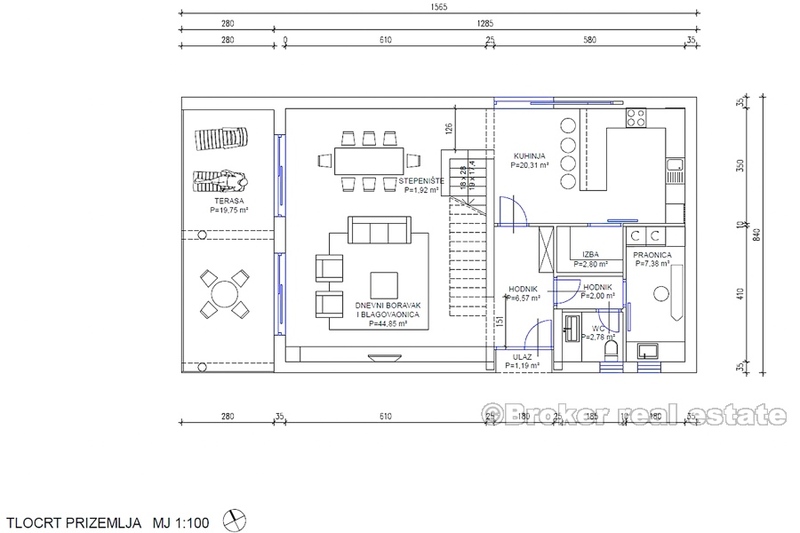 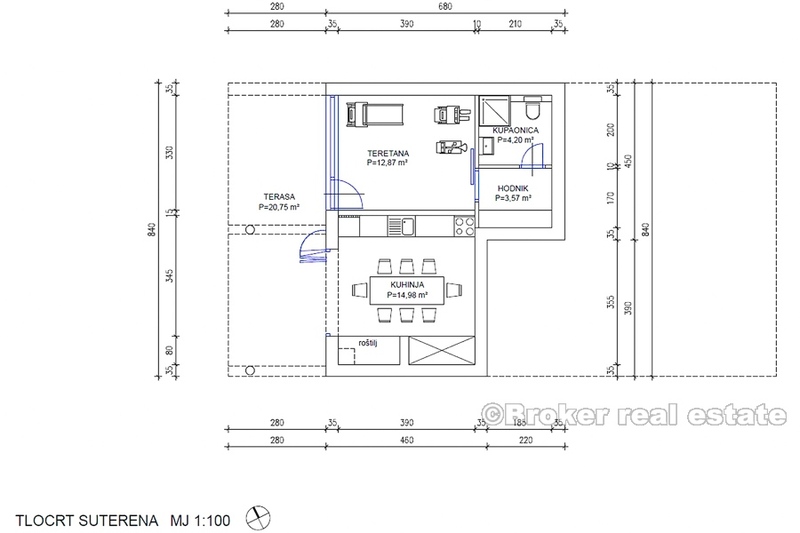 The first floor consists of a laundry room, a bathroom, a large living room, a kitchen and a storage room. 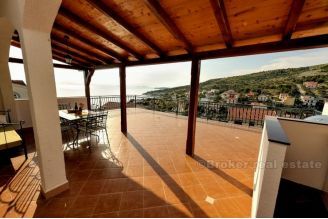 On the second floor there are 3 rooms, each with bathroom, while one bedroom also has its own terrace. 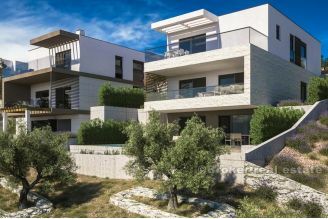 All infrastructure and olive trees are present on the property. 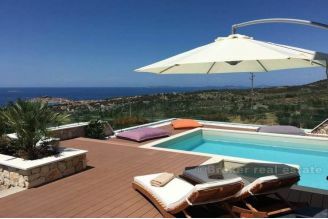 In front of the property is an agricultural land, which guarantees unobstructed sea view.